Win: The easiest and most popular bet to place. You are betting on your selection to win (be it a race or sporting event). If it does win you are paid out at the winning odds. For example, you bet £100 on Man Utd to win the Premier League at odds of 2/1. If they win the league you will receive €300 (your winnings and your stake returned). Place Bet: With a place bet you are betting that your selection will finish in a place. The amount of places will differ depending on the event and the number of runners/participants. In the majority of cases a place is 1st, 2nd or 3rd. However, in events with a larger number of runners such as a horserace (handicap with 13 or more runners) or a gold tournament (which can have 100+ participants) place are paid out on the 4th place and in some cases up to 5th place under special bets offered by some bookmakers. Likewise, horse races with 5-7 runners only pay places to the 1st and 2nd placed horses. Also check the conditions of places before placing the bet – they should be clearly displayed. Each-way Bet: An each-way bet is when you are betting on your selection to win a race but also to be placed in a race. You are in affect betting half your money that the selection will win and half your money that it will be placed. For example, you bet €10 each/way on a horse that is priced at 8/1 in a race with 8 runners. If the horse wins, you will receive €90 (win at 8/1) + €30 (place at ¼ the odds) or €120 in total. If the horse came 2nd or 3rd you would receive €30. Laying: Laying a selection is a bet that it will not win. It has grown in popularity over the last few years due to the growth of betting exchanges. If you lay a selction and it loses you win. In contrast, if you lay a selection and it wins, you lose. For example, a punter lays Horse A at 5/1 in the Derby. You will set a max loss, say €500, which means you will take bets up to €100, as if the horse wins you will have to payout €500. A Double: A double is a multiple bet that links two separate events/selections. For it to win both selections must win. For example, you do a €10 double that includes Horse A to win the 2.10 at Aintree at 2/1 and Horse B to win the 3.50 at York at 1/1 (Evens). It Horse A wins you will have €30 going on to Horse B at 1/1. If Horse B wins you will get €60 in return. If only one selection wins the bet will be a loser. A Treble: A treble is a multiple bet that links three separate events, and in order for it to win all three selections must win. In the example above we add a third selection, Horse C to win at 3/1 (along with Horse A at 2/1 and Horse B at 1/1) in a €10 treble, as opposed to a €10 double. If Horse C wins at 3/1, along with the two other selections this bet would pay €240. (€10*2/1*1/1*3/1=€240). Again, the bet only pays a return if all three selections win. An accumulator: An accumulator bet is a multiple bet that requires multiple selections to win in order to pay out. It is widely used as a term for any multiple bet with more than three selections. Terms also used include fourfold, fivefold etc for accumulators with four or five selections included. 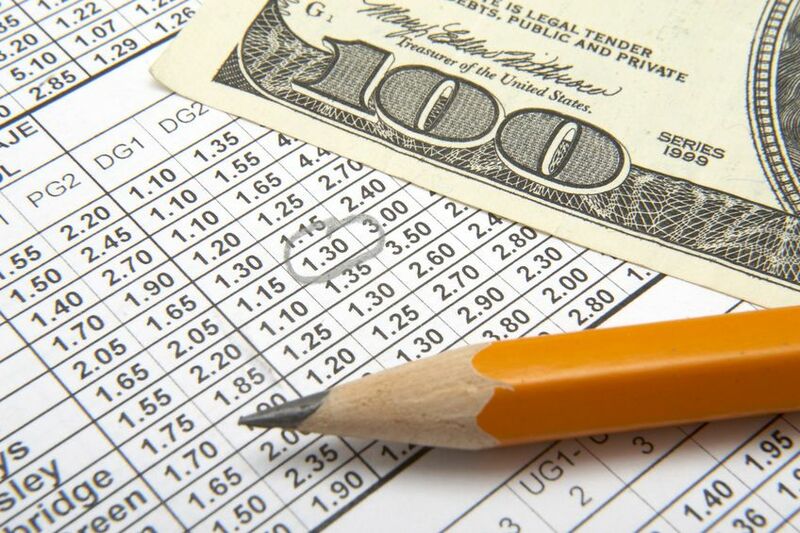 With the multiplier effect of many winning selections bettors are attracted to accumulators as they often pay out large amounts, However, given the multiple events and outcomes the probability of success is reduced. A Trixie: A trixie is a bet that includes three different selections for a total of four bets. These four bets are three doubles and one treble. Lets assume the trixie includes three horses: Horse A, Horse B and Horse C. The doubles in the bet would be Horse A & Horse B, Horse A & Horse C, Horse B & Horse C and the treble is all three horses together. A minimum of two of the selections needs to win for the bet to produce a return. A Patent: A patent is like a trixie in that there is three selections. However, a patent includes seven bets as in addition to the doubles and treble it includes singles on the three selections. A minimum of one of the selections needs to win for the bet to produce a return. A Yankee: A Yankee is a multiple bet that has four selections. It includes 11 bets: 6 doubles, 4 trebles and 1 fourfold on the different combinations of the four selections. A minimum of two of the selections needs to win for the bet to produce a return. Lucky 15: A lucky 15 is similar to a yankee in that it has four selections, however it covers 15 bets. It includes 6 doubles, 4 trebles, 1 four-fold and 4 singles. A minimum of one of the selections needs to win to produce a return. Lucky 31: A lucky 31 is a multiple bet with 5 selections, covering 31 bets. It contains 5 singles, 10 doubles, 10 trebles, 5 four-folds and 1 five-fold. A minimum of one of the selections needs to win to produce a return. A minimum of one of the selections needs to win to produce a return. Lucky 63: A lucky 63 is a multiple bet with 6 selections, covering 63 bets. The bets include 6 singles, 15 doubles, 20 Trebles, 15 four-folds, 6 five-folds and 1 six-fold. A minimum of one of the selections needs to win to produce a return. Super Yankee (Canadian Yankee): A super yankee or a Canadian yankee is a bet that consists of 26 bets involving 5 selections; 10 doubles, 10 trebles, 5 four-folds and 1 five-fold. A minimum of two of the selections needs to win to produce a return. Heinz: A Heinz consists of 57 bets involving 6 selections; 15 doubles, 20 trebles, 15 four-folds, 6 five-folds and 1 six-fold. A minimum of two of the selections needs to win to produce a return. Super Heinz: A Super Heinz contains 7 selections and 120 bets; 21 doubles, 35 trebles, 35 four-folds, 21 five-folds, 7 six-folds and 1 seven-fold. A minimum of two of the selections needs to win to produce a return. Goliath: A Goliath is based on 8 selections and contains 247 bets; 28 doubles, 56 trebles, 70 four-folds, 56 five-folds, 28 six-folds, 8 seven-folds and 1 eight-fold.A minimum of two of the selections needs to win to produce a return. Straight forecast (SFC): A Straight Forecast is a bet that chooses the two selections that will finish 1st and 2nd in an event in the correct order. In horse and greyhound racing a Straight Forecast dividend is declared based on the starting prices of all the runners in a race. Reverse Forecast (RFC): A Reverse Forecast is a bet that chooses two selections to finish first or second in any order, A Reverse Forecast is really two straight forecasts and as such requires two stakes. Combination Forecast: A combination forecast is one where three or more selections are chosen, from which two must finish 1st and 2nd in any order. The combination forecast is a number of straight forecasts and requires multiple stakes depending on the number of selections involved. Straight Tricast: A Straight Tricast contains three separate selections in one race 1st, 2nd and 3rd in the correct order. Straight Tricasts are accepted on Horse races with 8 or more runners and on selected greyhound meetings. Combination Tricast: A combination Tricast is one where you choose a number of selections in a tricast race, any three of which must finish 1st, 2nd and 3rd in any order. A combination tricast is a series of straight tricast bets.